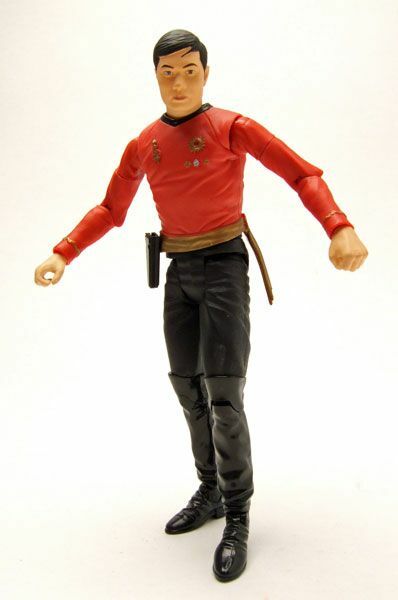 DST released this Sulu as part of it's Comic-Con 2006 Exclusive "Mirror, Mirror" wave of figures. 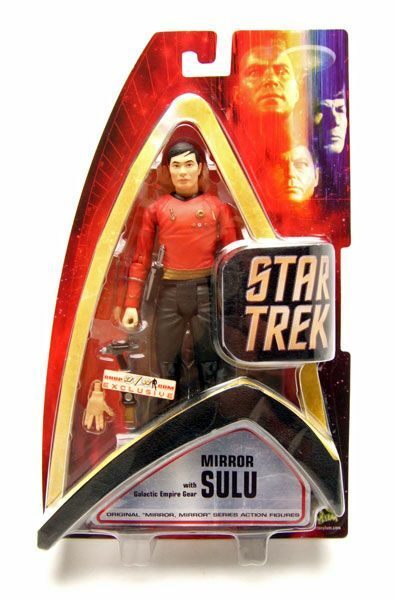 Sulu was released through AFX. The Rundown: We didn't really realize how good we had it back when this figure came out, did we? An entire wave of exclusive "Mirror, Mirror" figures?!? Nowadays, orders aren't even strong enough to guarantee getting product to stores, but back in 2006 DST was able to take the gamble on these. Boy am I glad they did- I love "Mirror, Mirror", so having a complete crew in this style is a real treat. 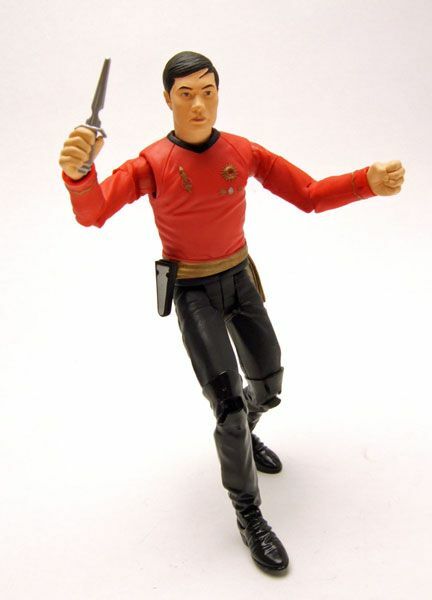 Sulu was absolutely awesome in this episode, so how does his figure stack up? 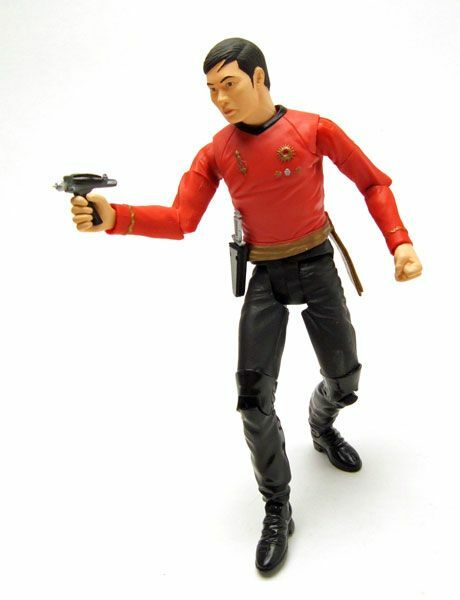 While most of the figure is composed of reused parts, Sulu still matches his show look very well. 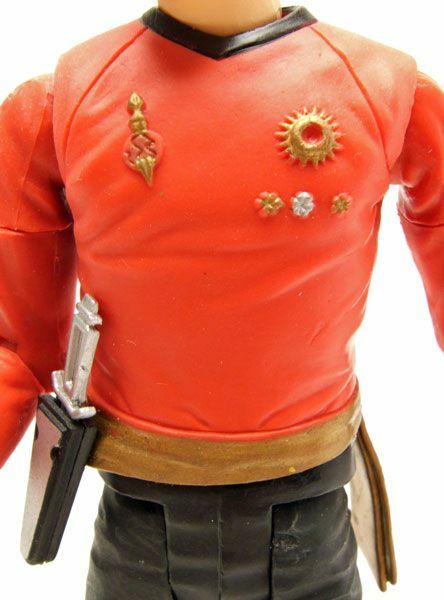 Thank goodness they used the tall boots on these as opposed to the incorrect boots used on Mirror Scotty. 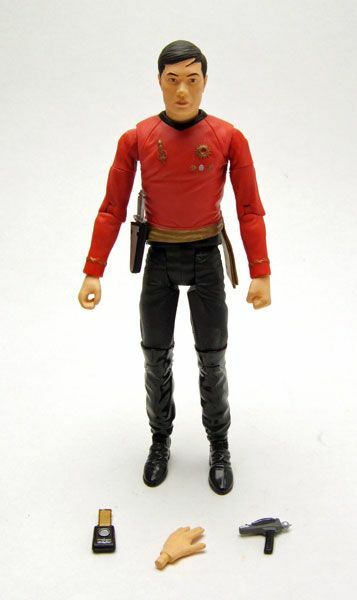 Mirror Universe figures MUST have tall boots! 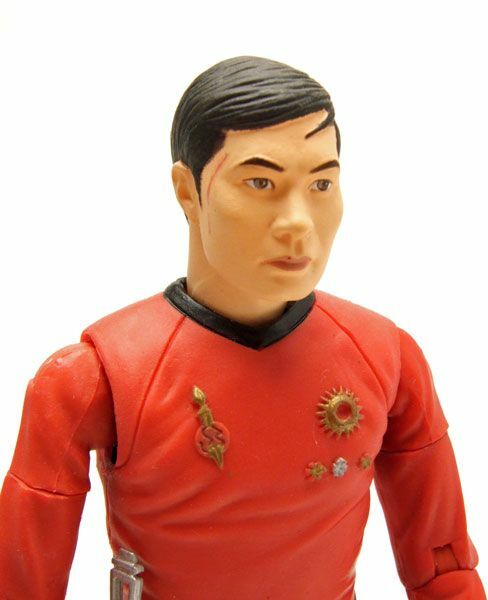 Sulu's head is the same used on his original AA figures. The face is a bit too somber to work as well on his Mirror counterpart but it's still a solid likeness. DST used a simple paint app to replicate the scar from the episode. It's pretty faint, and I really wish they'd have sculpted it on instead, but what can you do. The rubbery shirt piece is new here. I'm happy to see they took the time to sculpt all of his chest adornments rather than cheaping out and just painting them on. Looks great! Oh, and the fact that you can remove the dagger sheath from the waist wrap is always nice too. I'm a sucker for that kind of feature. All of the figures in this wave that I own seem to have nice clean paint jobs. The articulation is nice on the whole batch as well, with no stuck joints and a nice range of movement. 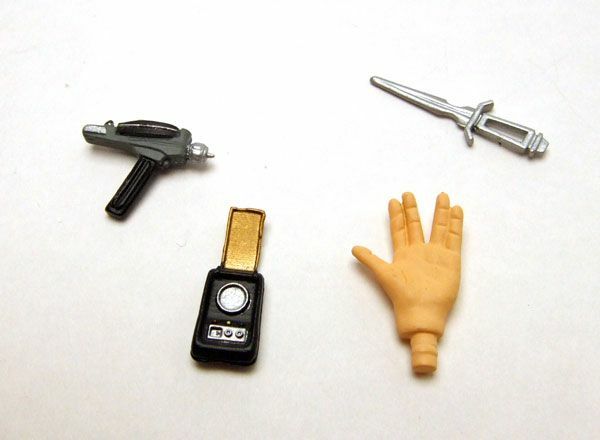 Accessories: Sulu includes his dagger (with sheath), a phaser, a communicator, and an interchangeable "Vulcan Salute" hand. I have no idea why they included that hand. Makes absolutely no sense. 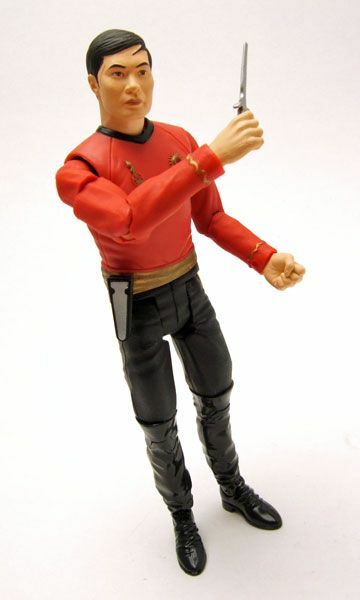 Okay, so the head is a little off...but overall Mirror Sulu is a really great figure. In fact, the whole Mirror Crew from AA/ DST are all pretty great. I'm biased, but I'd recommend snagging the whole lot, buying the new I.S.S. Enterprise, and making a really sweet "Mirror, Mirror" display. So, yeah. Go do that.